I recently received the the Palm Pixi, the younger sibling of the Palm Pre, courtesy of Sprint. 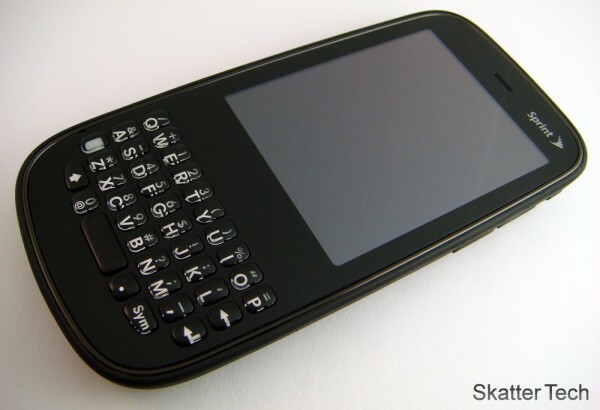 It’s Palm’s second webOS device and just like the Pre, the Pixi supports Synergy, multi-tasking, has a full QWERTY keyboard, and the gesture area. However it is still is a notch down from the Pre. Most notably, it doesn’t have WiFi, rather running solely of Sprint‘s 3G network. While it may not be a powerhouse compared to other Smartphones, the Pixi looks good, is affordable, and compact. The Pixi weighs only a few ounces, looks thin and sleek. The body has a soft feel and offers a good grip. It’s probably one of the better looking phones I’ve come across. There’s a volume rocker, a switch to silence your phone, and a microUSB port on the right side. Accessing the charging/data USB port was a bit of a nuisance. There’s only a tiny sliver of space between the flap and the body of the phone. Even if I did manage to get it open, it immediately snaps back due to stiffness and the magnetic piece. After about a week of struggling with this, the magnet actually just fell out, now the flap doesn’t even close properly. I think it’s Palm’s plan to get us to buy their Wireless Touchstone charger. 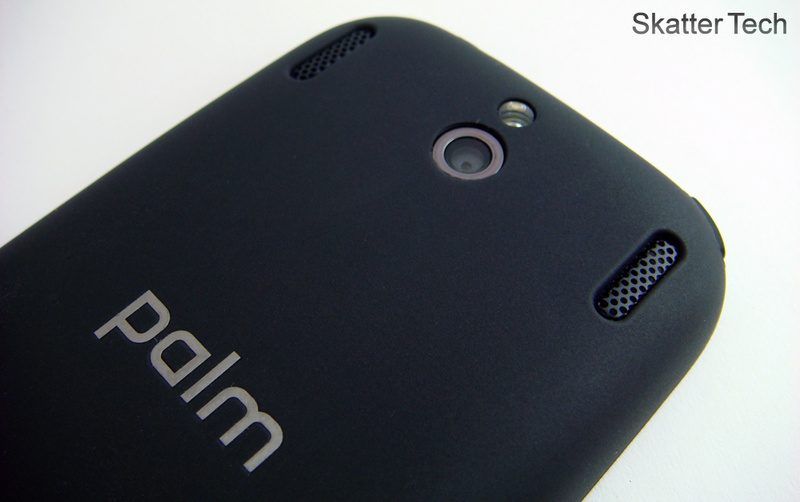 The back of the phone is essentially a rear “face-plate.” Palm offers various artistic designs. There’s no microSD expansion and the only thing under the rear cover is the replaceable battery pack. The 2 megapixel camera, flash, and speakers are on the upper rear portion of the back side. The power button and a standard 3.5mm headphone jack are on the top. 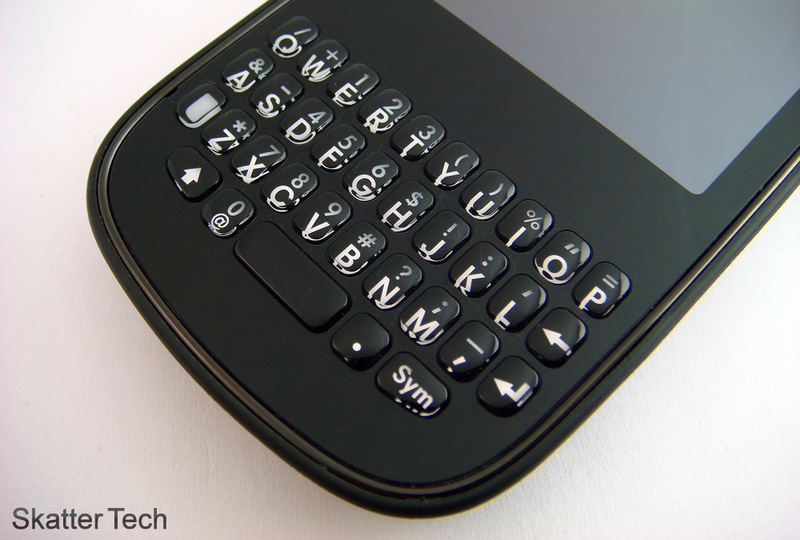 The front face of the phone sports the QWERTY keyboard, a gesture area, and a 2.6 inch display from bottom to top. Overall, it’s a great design and Palm has truly reinvented themselves with a new generation of hardware. I hope to see more device following this cue. There’s a thin touch-sensitive slit embedded into body between the display and keyboard. It’s unique and makes using the phone much more intuitive. For example, moving back a page in the browser requires a quick swipe to the left. The pad illuminates the the direction you swiped with a neat little animation right after. To get back to the home screen, just swipe up. 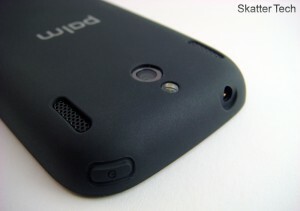 The Pixi also lights up the gesture area to indicate that the phone is busy performing a task. It’s definitely a more intuitive innovation that the physical home button the iPhone that needs to be double or triple tapped to perform certain commands. The multi-touch screen performed pretty well for the most part. The screen was fairly responsive and looked beautiful. The 2.63 inch display is about a half inch smaller than the one on the Palm Pre. The interface seems to have scaled well to the 320×400 pixel display without any major drawbacks other than loss of screen estate. While I thought that the interface, text, images, and videos all looked bright and crisp, the display actually has only 18-bits of color versus the 24-bits on the Pre. Keep in mind, if I didn’t learn that from the spec sheet, I probably wouldn’t have known. It looks just fine. The device supports multi-touch gestures such as pinching with two fingers to zoom in or out of an image or web page. I was however disappointed with the accelerometer. It was not exactly responsive. It often didn’t rotate a web page at all. Plus, at other times it would enter the landscape mode when I was holding it vertically. That’s especially a pain since I’ll have to type with the physical keyboard which is facing in another direction. the gesture pad also would change functionality from back and forward page swiping to scrolling. While the display looks great, there’s still a few problems that could be addressed with a future software upgrade. When I first saw the Pixi, I expected the keyboard to be a pain to use. However, I quickly found out that I shouldn’t have made such a quick judgment. The buttons may seem really small and that’s because they are. But despite that, even with by large thumbs that could easily cover half the keyboard, it took me less than about 10 minutes to get accustomed to it. Everything is well placed and they keys have a nice click feel to them. And of course, they are backlit and light up automatically. (Controlled by the ambient light sensor.) While the phone does lack a good virtual auto-correction feature, I was still able to type text messages and reply to emails with little to no errors. Plus, since the keyboard is hidden with a sliding mechanism as it is with the Palm Pre, the Pixi is actually faster to use in many ways. The keyboard is probably one of my favorite aspects of this device. A Smartphone’s ability to multitask seems to be an essential feature. Fortunately the Pixi can, which even the iPhone can not. However it’s not all fun and games. The device’s performance begins to lag and hang when running more than one application at a time. In fact, some even froze and crashed. At times, if I had multiple applications open, I couldn’t even make or receive a call. It got too slow at one point that the phone wouldn’t even recognize my several attempts to end the call even though the visual interface seemed to recognize it. I was at least glad that I liked the home screen interface. I was able to rearrange and customize the 5 default programs listed at the bottom. If you click the expand key, it opens a list of all the available programs. The applications were organized into three categories: downloaded, commonly used, and system applications. Launching anything, for example Sprint TV, the current screen is minimized and the program appears. This is great since I can use the ‘swipe up’ gesture to return to the home page. It’s now easy to switch to another running window or launch another program. I also loved how you simply “toss” and application up to close it. There were unfortunately no widgets as found on Android devices, but you could customize the background unlike the iPhone. Asides from the lack of performance, Palm has developed a marvelous webOS and I hope to see major feature additions. Hopefully as early as January ’10 during their press conference at the Consumer Electronics Show. Wow. It’s that awesome. 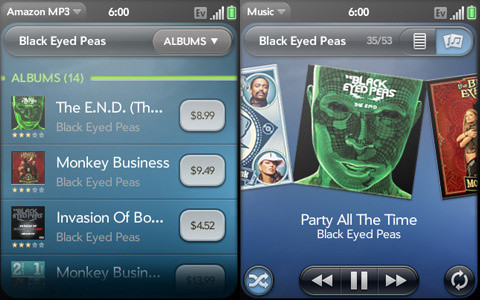 The Palm Pixi’s webOS offers one central interface to pull information in from a variety of accounts. These include Google Sync, Facebook, Microsoft Exchange, LinkedIn, and Yahoo. My Calendars, Contacts, and Emails were imported from all of them. Instead of creating havoc with a mess of duplicate contacts and data, the Synergy technology handles it quite well. It merges duplicate contacts without destroying your data. Any changes made on you device are automatically relayed to the server and back onto other devices as well. All my Facebook contacts were pulled in with profile photos, email addresses, and phone numbers. This was by far the easiest and most convenient way I’ve come across to import information. As for messaging, the Palm Pixi has a neat notification system. It alerts you with popups and notification icons for emails, texts, missed calls, and voicemails at the bottom of the display. Clicking on one immediately launches the respective application. Composing and reply to emails was an easy task with a great keyboard. My calendar would even display Facebook Events I had replied to as attending and everything from Google Calendar. Text messages are well organized. Conversation logs are separated by name and date. The option to forward items was a handy feature. You won’t even need to copy and paste. The Palm Profile, which you are required to create, automatically performs backups of you device’s data. If you were to loose or break a device, a one-time login will immediately fetch everything. Although I rarely saw full reception in the Sacramento Area, I almost always had at least a bar or two. Surprisingly, I did not experience any dropped calls. The iPhone hilariously has repeated failed calls even though it reports full signal on AT&T’s network. I was able to hear the person on the other end well and they also reported the same. I can make a call by keying a number or a contact’s name with the keyboard. Although I could browse through the contact list, the first method was much faster. There’s also an on-screen dial pad as well. There’s also a log of incoming, outgoing, and missed calls within the call application. Things were especially easy since all my friend’s names were imported from both Facebook and my personal contact list on Google Contacts. The interface even displayed my contact’s profile picture for incoming calls and during one. Downloading data wasn’t as fast as Verizon’s 3G in our area, but was still consistent. For the most part it was sufficient for what the phone offers. As some one who’s always in areas with WiFi connectivity, the inclusion of that component would have been truly appreciated. Hopefully Palm will take a hint from customer feedback and make that addition. The Palm Pixi streamed videos impressively well from Sprint TV. The application features some live channels including the Disney and NFL channels. There’s also a selection of recorded programs. If you pay extra, there’s always more. The phone also supports the major video formats.The Palm Pixi synced smoothly with both my Ubuntu desktop and my Windows 7 Laptop. I just plugged it in using the modular microUSB cable that doubles by connecting to the AC adapter to charge. It’s simply a mass storage device. Just drag and drop items. Once copied over, it automatically recognizes media. The phone also supports Bluetooth AD2p stereo profiles for devices such as the Jabra Halo or Altec-Lansing BackBeat. Speaking of music, Pandora worked quite well with this phone. I had it connected to my car’s stereo through an AUX jack. It streamed music impressively well without any major pauses for buffering. While it’s still no iPhone when it comes to multimedia, it should cover most entertainment grounds. 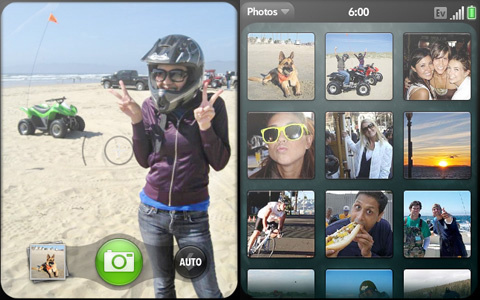 The Pixi only has a 2.0 megapixel camera, which isn’t much for a smartphone. 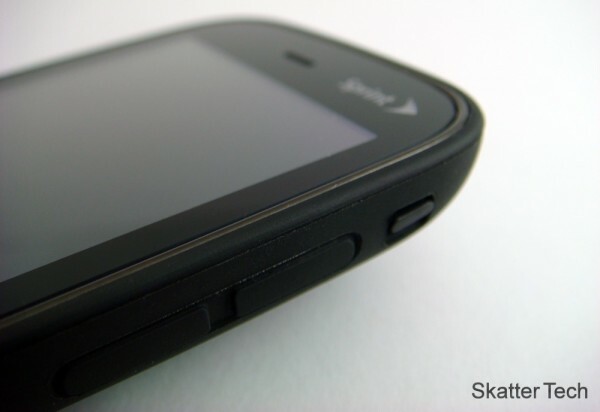 The Palm Pre has a 3.2 megapixel camera. The quality was merely decent. Images just seemed weirdly colored. They weren’t crisp or clear. The only option available was for the flash. No special effects, resolution settings, or anything else. The turnaround time for a shot was fortunately pretty quick. Images looked best in well lit situations, even despite the flash offering. I was bummed to find that the webOS doesn’t support video recording. While this isn’t the most expensive smartphone, it lacks features even the nearly free Samsung Reclaim has. There’s a lot of work Palm needs to put into this element of the phone. In my opinion, this was the lowest ranked element of the device. If imaging is important for you, this won’t be the right fit for you. The specifications state about 5 hours of talk time, however I’d say that’s a bit of stretch. Especially if you are someone who’ll be using other features that the phone offers. And if you buy a smartphone, why wouldn’t you? And that’s a good thing. I found myself wanting to use this phone. I would browse the web or try new applications. While there’s a claim of a 350 hour standby, that’s nearly impossible. It might be if you don’t touch your phone at all and have it set not to check for emails or have anything running. But that’s impractical. Though the battery life isn’t as great as a non-Smartphone, it should last through a day just fine. It’s a bit better than what the iPhone offers. It’s especially impressive if you consider how small this phone actually is. Palm is definitely back in the game. Both the Palm Pre and Pixi have plenty to offer. 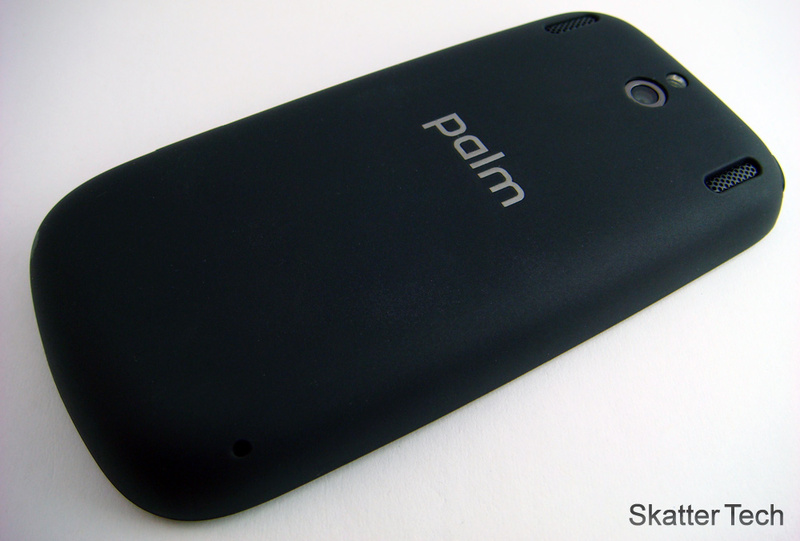 It may be under-shadowed by the recent advancements of the Android platform, but I’m sure Palm’s got something in store. The only major drawbacks with this phone would be the exclusion of WiFi and poor Camera. However the hardware, keyboard, webOS, and phone features are all great. It’s definitely a step down from the Palm Pre, but the Pixi is available for a third of the price through many retailers. While that still won’t save you from the necessary data plans, it’s a unique phone that everyone else won’t have. The platform is evolving and it has plenty of potential. A simple software upgrade could give it another boost and that’s something Palm seems to embrace that idea. If you are ready to grab one, it’s available for as low as $25 through Amazon.com for Sprint with a new two-year contract. Note: I’ll be publishing a review of the Palm Pixi Touchstone Charger Soon! I’ve held the phone and agree with your assessment of its form factor and keyboard. I think you have to address the lack of apps. Most reviewers mention that over a million apps have been downloaded. There are actually less than 500 different apps. Unfortunately the lack of apps will be the downfall of Palm. Historically Palm OS apps have retailed for over $20.00 at featured sites. That is not a favorable comparison to .99 apps. Thank you for your comment; you’re right, I forgot to mention the lack of apps and prices. Even some of the simple apps, such as a tip calculator, were selling for $3.99 and above. There are several free apps to download, but only a handful of ones that I would actually use.